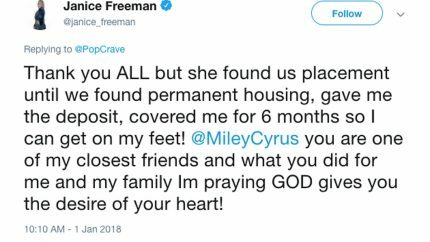 Miley Cyrus is still mourning the loss of The Voice contestant Janice Freeman, who passed away earlier this month from pneumonia and a blood clot. Related: Miley Cyrus Confirms Wedding To Liam Hemsworth! 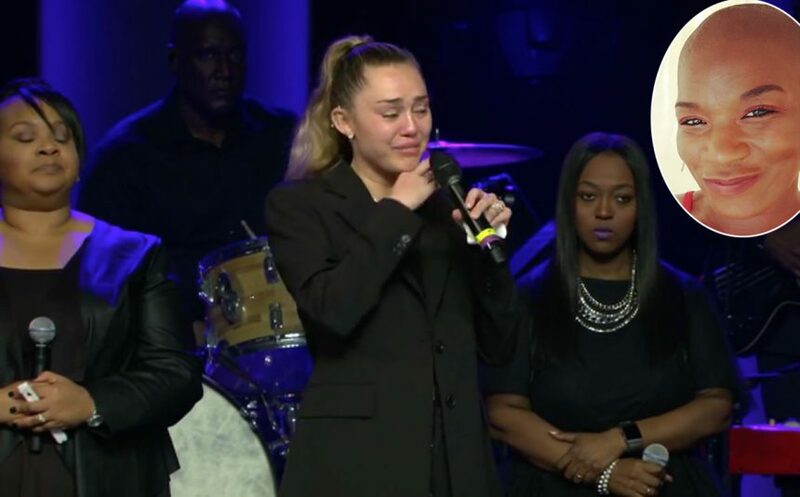 While Liam Hemsworth‘s other half was originally planning on paying tribute to her friend by singing a solo rendition of Amazing Grace at the memorial, which was streamed on Facebook, the 26-year-old explained she was too emotional to sing alone. The young Cyrus did eventually join her father singing before finishing out the song solo. Heartbreakingly, it was only two months later that she passed away. Our thoughts continue to be with Freeman’s family and loved ones during this difficult time.